We’ve listened to your feature requests, and we’re thrilled to announce that WP Optin Wheel version 2.1+ now supports Facebook Messenger opt-in! 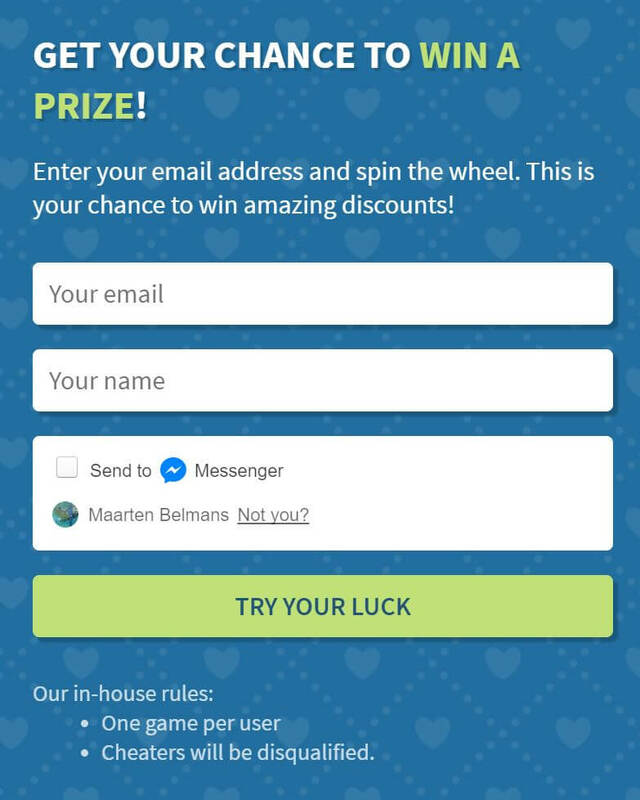 Basically, you can use your wheel to have people subscribe to your Facebook bot and send them (automated) messages, just like you would do with email. So what’s the upside of using Facebook instead of email? Getting an 88% open-rate is not uncommon! People are just more inclined to read their Facebook chat than they are to read their emails. Facebook Messenger is an awesome, but tedious beast. 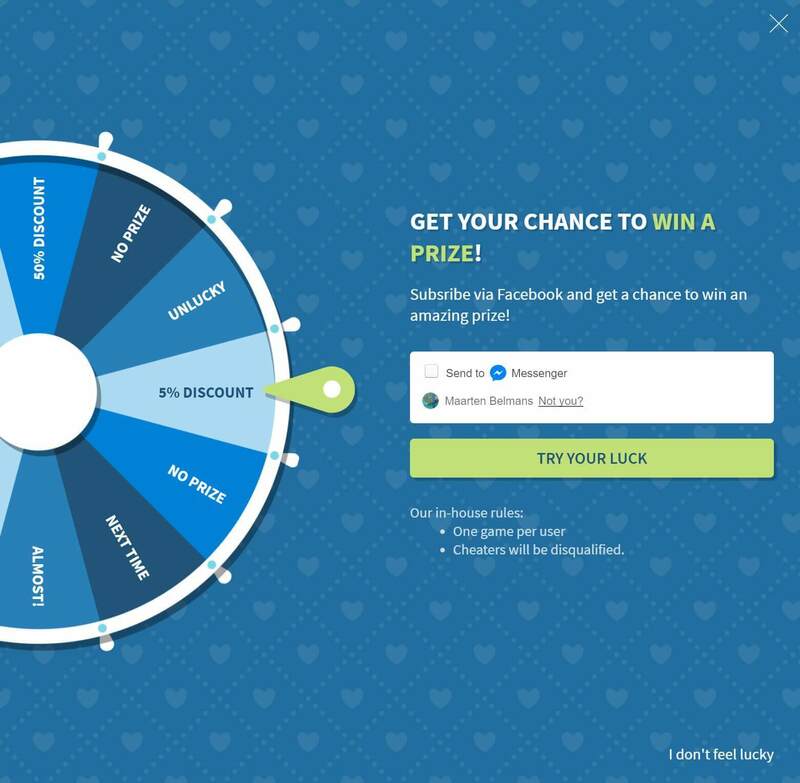 So to integrate WP Optin Wheel with it, we partnered with ChatChamp, a plugin to retarget your WooCommerce customers with Facebook. They allow you to send your users abandoned cart reminders or order information all via Facebook. Chatchamp is totally free for an unlimited time, as long as you stay below 100 subscribers. If you plan on having more subscribers, their plans start at $26 per month, which we think is fair pricing! We’ve prepared a guide on how to integrate WP Optin Wheel with Chatchamp. Written by Maarten Belmans on February 27, 2018 in Release Notes.